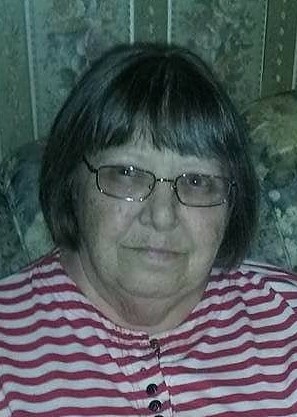 Nina S. Oakley, age 70, of Pleasant Run Road, West Liberty, KY passed away Tuesday January 29, 2019 in the Carter Nursing & Rehab Center, Grayson, KY after an extended illness. She was born September 12,1948 in West Liberty, KY to the late Kelly and Marie Goad Oakley. One brother Bill Oakley preceded her in death. She was a grade school teacher, she accepted the Lord Jesus Christ as her Savior. Surviving is one sister, Shirley Fields of West Liberty, KY; two brothers Frank & Joyce Oakley of West Liberty, KY: Charlie Oakley of Joplin, Missouri. Host of nieces and nephews, great-nieces and nephews, great-great nieces and nephews. Funeral service will be 1:00pm Friday February 1, 2019 at Herald & Stewart & Halsey Chapel with Bro. Dean Lewis officiating. Burial in Oakley Cemetery, Old Hwy 519,West Liberty, KY. Visitation will be 11:00am Friday at Herald & Stewart & Halsey Funeral Home, West Liberty, KY. Pallbearers is friends and relatives.